The patient, identified by The Associated Press as Thomas Eric Duncan of Liberia, arrived in the U.S. on September 20th to visit family. When Duncan arrived in the U.S., he was not symptomatic. In other words, Duncan was asymptomatic, meaning that even though he was not actively manifesting symptoms, he was still contagious. In addition to local health authorities, the CDC has rushed 10 specialists to Dallas to assist in the assessment, treatment and quarantine of Duncan. The CDC is pulling out the stops in order to give the illusion that they are on top of the problem and nobody has anything to worry about. There are reports coming in from around the country which strongly suggest that the publics’ health is not a priority with the CDC and Ebola potentially threatens to spread far and wide because of the CDC’s and the Obama administration’s inactivity in this matter. Why Isn’t the CDC Helping In Payson, Arizona? 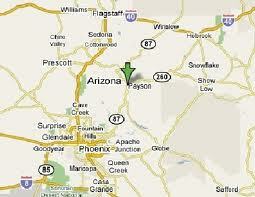 Payson is just over an hour’s drive from the Phoenix area. His name is Alan Mann and for the next 18 days, Mr. Mann is potentially a health risk to his community in Payson, Arizona. Mr. Mann is a servant of God and he was carrying out his Christian duty by preaching in Liberia, where there are Ebola outbreaks. Mr. Mann boarded a plane and flew, without restriction, to Brussels. From Brussels he flew to Phoenix and nobody in an official capacity has checked to see if Mr. Mann is a carrier of the Ebola virus. After what has just happened in Dallas, this is the ultimate in governmental irresponsibility. According to one of Mr. Mann’s neighbors who contacted me, Mr. Mann has placed himself in a self-imposed 21 day quarantine. Where are the local health officials and the accompanying CDC personnel? How can the people of Payson and the entire state of Arizona be certain that this missionary is able to fully carry out the proper protocols of a quarantine, without risking the lives of others, and that he also has the proper equipment to do so? The fact is, that nobody can be sure. Before you feel sorry for Mr. Mann and think that I have unfairly violated his privacy. 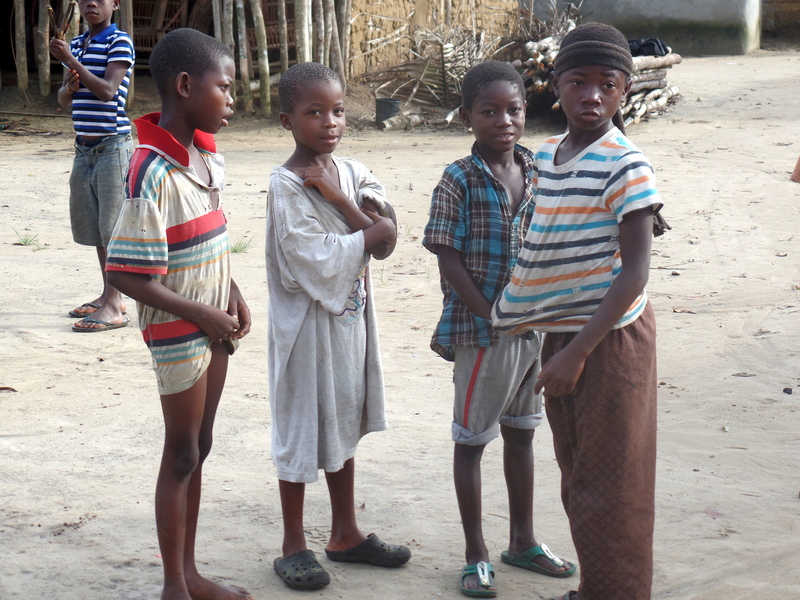 Mr. Mann details his travels and his relevant Liberian experiences on his blog. Here is an excerpt. It was a little overcast on our way into Phoenix so we were bumped around a little. But now I’m on the ground here in Phoenix, waiting to complete the taxi to our gate. My wife and kids are waiting in the cell phone lot and I can’t wait to see them! Thank you all for your prayers for these last two weeks I was in Liberia. Thank you also for remembering to include my family in your prayers. God is good and God is faithful to his children. We still have a couple of hours until we are actually home. Please pray for safety as we travel wet roads. Also from Mr. Mann’s blog he tells the following story as he was part of a team delivering health care supplies to potential Ebola victims, who happened to be children. “On another note, we were finally freed up on time to deliver the remaining fifty sanitation kits and de-worm medication to a community quite difficult to get to by pickup. It was certainly possible but I’m sure my head hit the ceiling several times due to the poor road conditions. It was raining so we had to keep moving or we would have gotten stuck. Once everyone was gathered under the roof, it began to pour rain. It was so loud on the tin roof, even the man with the megaphone could not be heard. As the rain calmed a bit and the people settled in one place, the town leaders began to explain who we were and what our intentions were. Following this, Isaac stood and spoke about the buckets and how to mix the hand washing formula and then he explained about the children’s medicine. Once Isaac finished, he invited me to first speak to them from God’s Word before they would receive their bucket gift. Clearly, the above excerpt demonstrates Mr. Mann’s state of mind that these children are potentially at risk for contracting Ebola. One of Mr. Mann’s neighbors contacted me by email and the following contain excerpts from this email communication which I received on October 1, 2014, two days after Mr. Mann’s arrival back to Payson. I’m writing to you to report something that is happening in Payson, AZ in my neighborhood. … however because you are in Arizona I know this will be of special concern to you. I hope you can pass this on to your listeners, just don’t use my name. My neighbor is a Christian Missionary who just returned from Liberia two days ago. He is doing a “self-imposed quarantine” in his home for 21 days. Do you believe that 21 days is an adequate quarantine? Could he transmit the virus to his children without being symptomatic himself? Should I wait for a second 21 days to allow my kids to play over there? (I think I will regardless). It appears that ebola is not widely studied and may mutate, so how can I trust what I am hearing on the news? They may withhold information to prevent panic. I’m sure he and his family will be at the local grocery store and WalMart soon and this small town could be at risk. If it happens here, it can happen anywhere, not just in the cities. 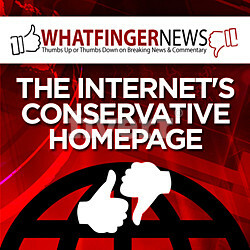 You can check that what I am saying is true- … has a blog at http://gospelmann.wordpress.com/ his name is Allen Mann. If I had only received an email about Mr. Mann’s status, I would never have published this information. However, Mr. Mann has made his own name and circumstances public as he has identified himself as having been in Liberia and published the same. Mr. Mann also announced his arrival back to his hometown on September 28, 2014. He shared with at least one of his neighbors that his health status was never challenged or questioned as he flew from Liberia to Brussels and then on to Phoenix, and we are supposed to trust the fact that Mr. Mann possesses the knowledge and capacity to carry out a self-imposed quarantine? And in the same vein, are we supposed to trust the fact that Texas health officials and the CDC have the Ebola outbreak in Dallas under control when we have a case like this in Arizona? If I can find this case in Arizona, then why cannot the CDC who has far more tools at their disposal? 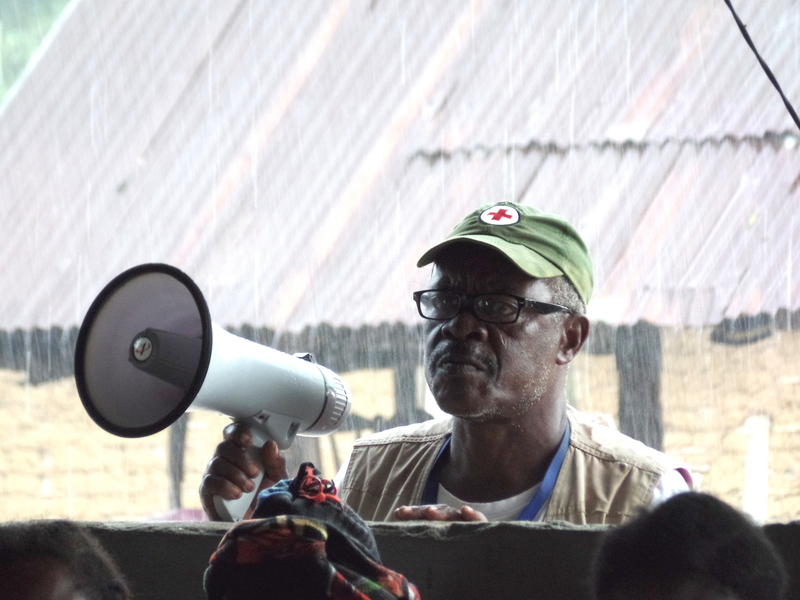 There can be no question that with up to two million people quarantined in Liberia, everyone leaving Liberia needs to be screened for this deadly virus and not leave it up to the good judgment of individuals to quarantine themselves, or not. I applaud Mr. Mann’s concern for others by having the good sense to quarantine himself in order to protect his neighbors in the best way that he knows how. However, we pay taxes to the CDC to protect us from these situations and to provide aid to the afflicted. The CDC should already be on the scene in Payson to provide every assistance to Mr. Mann and his family, in fulfillment of their mandate to protect the public’s health. This case is proof positive that the CDC is failing in its fiduciary duty to the health and welfare of the people in this country. Why are our airports and borders wide open for cases like these? In late May, when prominent Arizona physician, Dr. Jane Orient, and myself, both publicly stated it was a case of “when” and not “if” Ebola was going to surface in America, we were both branded as “fear mongers”. Interestingly, those once loud voices, have grown quiet. How many Mr. Manns are there in the United States who are unwittingly serving as a ticking time bomb for their community? With the aforementioned information published on his blog, I cannot explain why the CDC has not moved to assist Mr. Mann in his efforts to protect his community? President Obama has no problem having the TSA presume everyone at the airport is a terrorist and the flying public are treated accordingly through the groping “pat-downs” at the security checkpoints. Subsequently, we have to ask ourselves how an individual can fly from Ebola-afflicted Liberia and end up in the United States without undergoing any health screenings at these same airports? We need to raise our voices as one and demand accountability from our government officials in their efforts to protect the public health. Soon, we will all forget about Mr. Mann because I have received similar information, yesterday, from a health care worker in Portland and a person with an Ebola transmission story from New York City. For now, the CDC is missing in action.